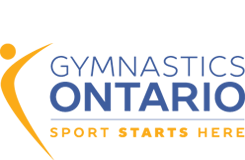 A big congratulations to Ana Padurariu and her coaches Elena Davydova and Valery Yahchybekov of Gemini Gymnastics! Padurariu started off the competition on vault, laying down a solid effort to score 13.533, but leaving her tied for last position heading into the uneven bars. On bars, she scored a 14.066 to vault her into fourth position at the end of the second rotation. 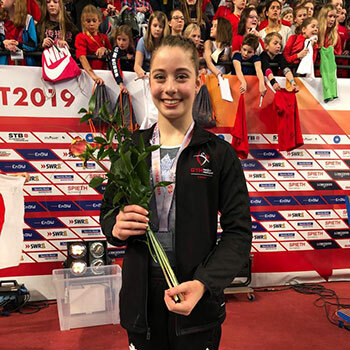 A fantastic performance on beam, the apparatus she won the silver medal on at last year’s World Championships, pushed her into the silver-medal position with a score of 14.333 – the top score on that apparatus. With a 13.200 on floor, Padurariu solidified her silver medal position with a total score of 55.132. Biles took gold with a total score of 58.800, while Seitz scored a 54.399 to walk away with bronze.